What do you get when you mix a sweet and tart, vitamin C packed berry with the superfood with the highest antioxidant rating of them all? A Matcha made in heaven! 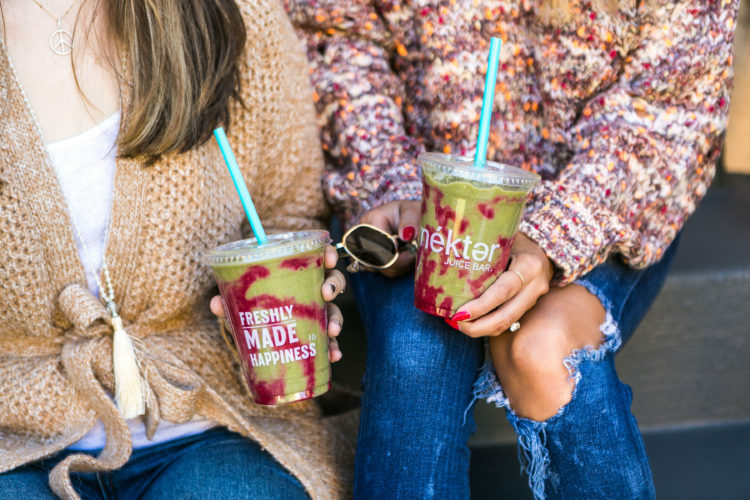 Keep calm and holiday strong with our latest Holiday Smoothie, the Matcha Berry Zenergy Smoothie: a mix of sweet and tart raspberries, premium Tenzo matcha green tea, banana, spinach, agave nectar, and housemade cashew milk. This festive smoothie is energizing, delicious, and absolutely packed with antioxidants to keep you going strong through the holidays. Matcha contains a special “feel good” amino acid called L-theanine that reduces stress and anxiety. Working together with caffeine, L-theanine balances out the stimulating effects of caffeine to give you a clean, calm and focused energy boost. Matcha also has the highest antioxidant rating of all Superfoods! Matcha naturally boosts your metabolism and increases the number of calories that you normally burn. 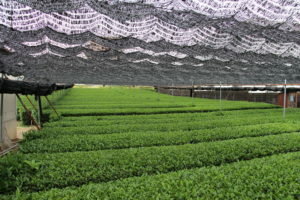 Matcha leaves are shade-grown to encourage extreme levels of chlorophyll production (which is why Matcha is so much brighter than other green teas). Chlorophyll has powerful detoxifying properties, and helps eliminate heavy metals and chemicals from the body, 100% naturally. 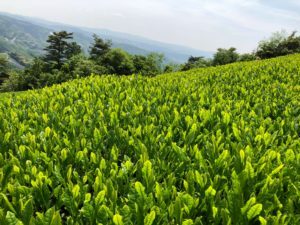 There is a long history of Samurai warriors consuming matcha green tea because of its ability to provide stable, long-lasting energy without the normal jittery side effects of caffeine and other stimulants. This means long-lasting, samurai focus is as easy as a trip to your nearest Nekter location for a Matcha Berry Zenergy Smoothie! Your other ninja skills may take a bit more work.